We've learned from JediNews that HASBRO's marketing team has sent out images to promote the release of brand new Black Series 6-inch figures. 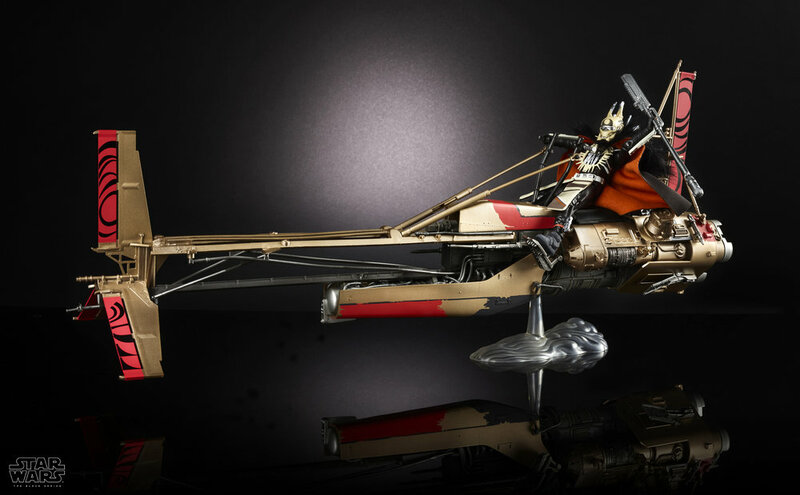 Shortly after the release of Solo: A Star Wars Story, we will be getting figures of Val, Enfys Nest and her Swoop Bike, and Lando's trusted co-pilot, L3-37. L3-37 and Val will be released in Spring, 2018, while Enfys Nest's Swoop Bike will be released later in the Fall.